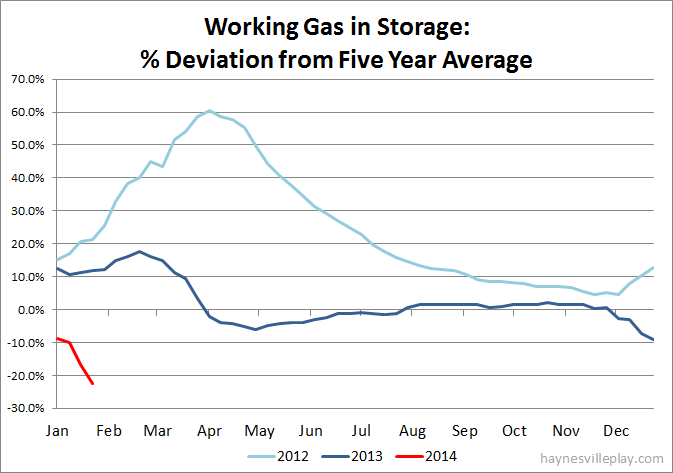 The EIA reported that working gas in storage was down 262 Bcf to 1.923 Tcf (Last week's storage numbers were revised down by 8 Bcf). The withdrawal was 103% greater than last year (-129 Bcf) and 74% above the five year average (-151 Bcf). 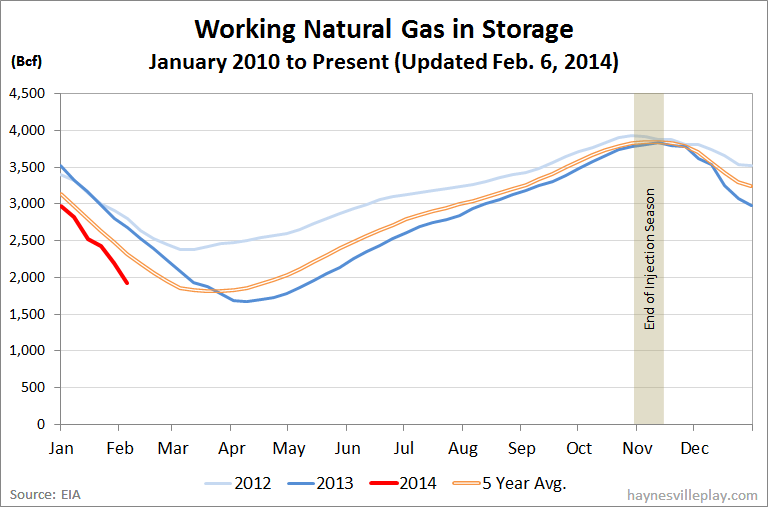 The current storage level is now 28.8% below last year (2.701 Tcf) and 22.4% below the five year average (2.479 Tcf). In case you are wondering, the lowest storage has gotten in the "post-shale era" (beginning 2009 in my book) is 1.592 Tcf in late March 2011. As of today, we are 331 Bcf from that level with +/- six more withdrawals expected. With the current winter, it shouldn't be a stretch to go below 1.5 Tcf. Temperatures last week averaged 27.0 degrees, which was 10.7 degrees cooler than last year and 6.6 degrees cooler than average.